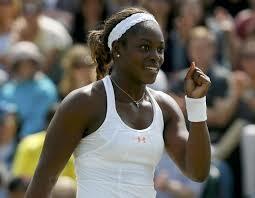 WIMBLEDON: Andy Roddick Wins Again. Window Closed for Another Major or Still a Puncher’s Chance? This is a trick and there’s no way I’m falling for it again. 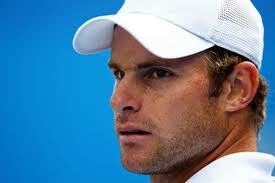 It’s so easy and comfortable with the acceptance that Andy Roddick is never going to win a second major. It stops the disappointment, the frustration, the annoyance of watching his infamous meltdowns. 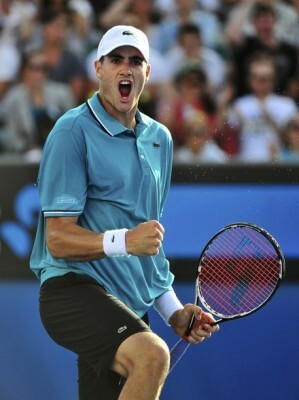 The problem is this: Roddick is still ranked No. 10. And he’s poised for a deep run at Wimbledon. This is the place where his game works best; he’s not hitting such pat-a-cake forehands; his serve looks like it used to; the draw sets up perfectly. 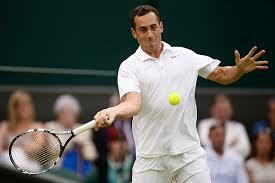 He beat Victor Hanescu 6-4, 6-3, 6-4 Wednesday to advance to the third round. Please, no. I’m not going to believe. Rafael Nadal is going to win this thing. If not him, then Novak Djokovic. Not him? Roger Federer. It’s just that Roddick seems to have actually made some adjustments and maybe found his, well, let’s just say that before this, he had castrated his own tennis game. This is destined for disappointment. He always has some sort of mental breakdown. But just when you finally accept that he’s done, things line up like this and you wonder if he still has one last puncher’s chance at a major. So many athletes have one last great run. 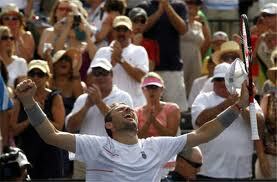 Pete Sampras was finished, too, when he came back to win one last U.S. Open (beating Roddick along the way, of course). But Sampras’ greatness was unquestioned, and long-lasting. He had more to draw from.